Jonathan Bloom knows everything about food waste! 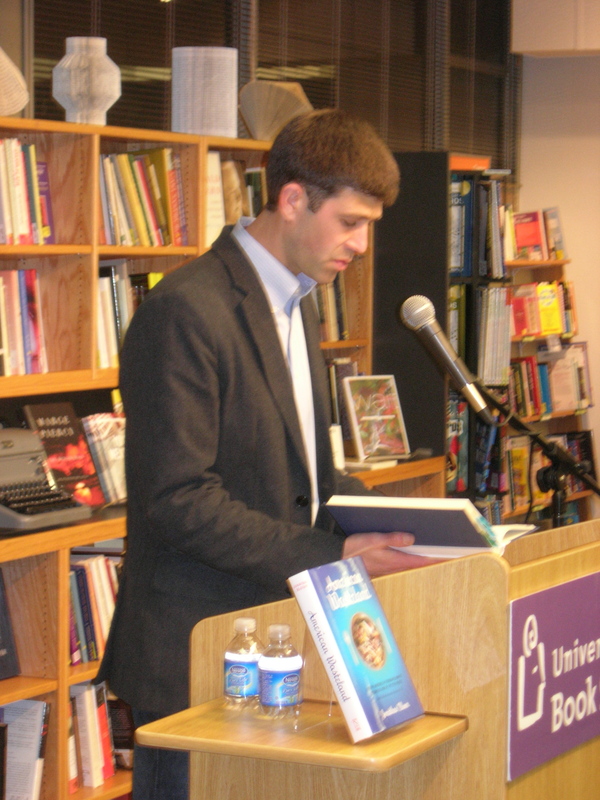 At the University Book Store on March 9th, Jonathan gave us a sampling of the fruits of his many months of research tracking down the journey of perfectly good food from field to landfill (an itinerary that did not include stops with hungry people). He has talked to farmers, restaurant owners, grocery store managers, food bank operators, and pretty much everybody else who populates our American food supply chain. 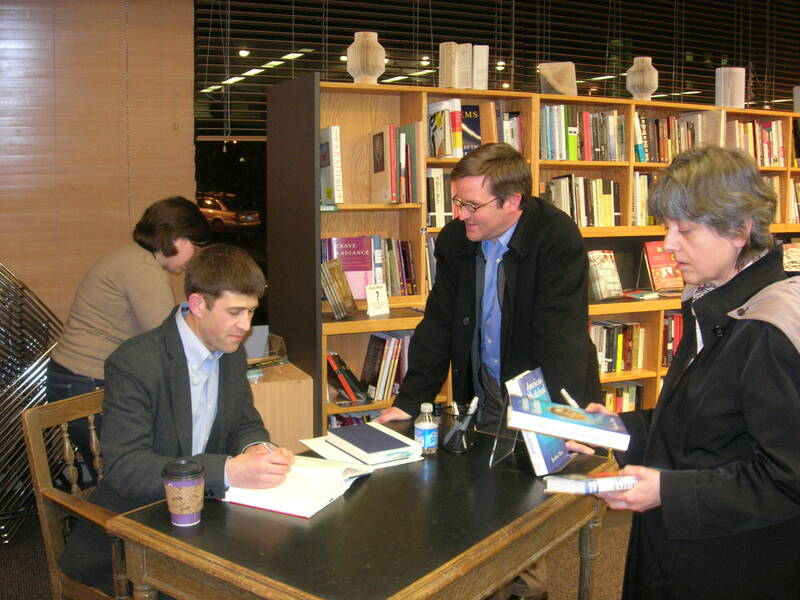 He has read, apparently, every word ever written on the subject of food waste (his book ends with about 30 pages of citations, notes, and resources). 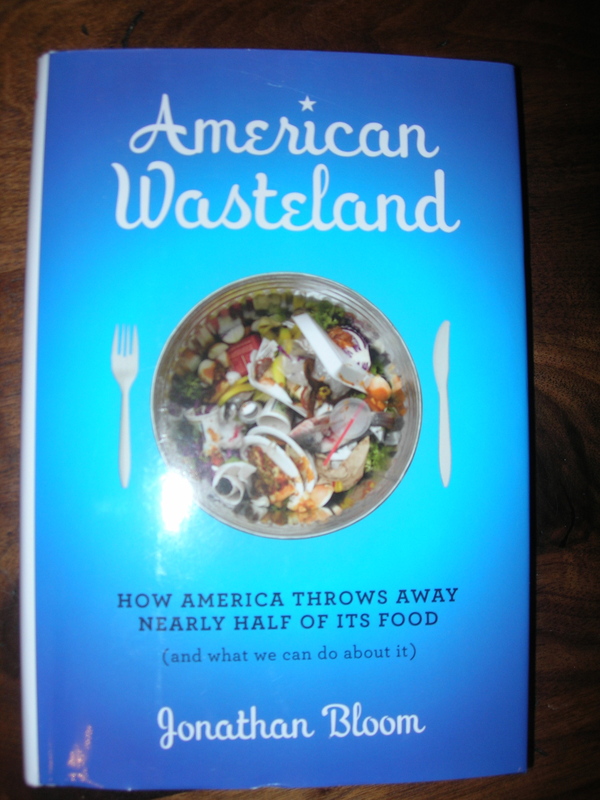 The bottom line: he documents in horrifying detail the fact that America throws away almost half the food it produces. He knows it doesn’t have to be this way! He documents numerous grass-roots efforts to recover food for healthy uses, from restaurants and grocery stores taking advantage of Good Samaritan laws to donate to food banks to individual home gardeners sharing their bounty. And he ends with a slate of suggestions about how we as individuals can do our part to change our culture of waste.